Stainless Metalcraft, a long-established manufacturer of large vessels and components for the most demanding applications, is aiming to more than triple its turnover with support from the Nuclear AMRC. 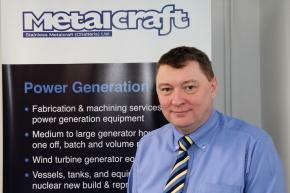 Metalcraft joined the Nuclear AMRC’s Civil Nuclear Sharing in Growth (CNSIG) programme in late 2013. CNSIG aims to develop the UK manufacturing supply chain for civil nuclear, and includes high-intensity support for 10 key suppliers. The programme is part-funded by government through the Regional Growth Fund, and supported by industry leaders including Rolls-Royce. Adams has set the company a target of growing its turnover from the current £14 million to £50 million within five years. Winning new nuclear business – in new build, operations and decommissioning – will be key to growth. Metalcraft has been active in nuclear for decades, producing vessels, tanks and other components for civil nuclear sites across the UK. 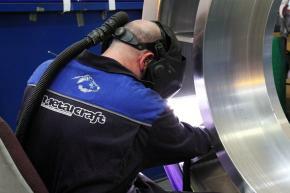 It currently has supplier certification from Sellafield Ltd, Areva and Rolls-Royce. In decommissioning, Metalcraft is the only UK supplier of remelter crucibles for Sellafield. These vessels are used in the vitrification plant to mix active waste with glass at over 1000°C – a typically demanding application for Metalcraft, which sees significant opportunities in other decommissioning projects. In nuclear new build, Metalcraft is looking to build on its extensive experience in producing stainless and carbon steel pressure vessels. And in operations, the firm’s sister company, Walsall-based Maloney Metalcraft, has a legacy of systems installed in EDF Energy’s fleet of gas-cooled reactors. To help achieve his ambitions, Adams led the restructuring of Metalcraft into three business units with distinct value streams. All three are now benefiting from CNSIG training and support. The largest unit is Product Solutions, which focuses on volume work. The team has received targeted training in areas such as business improvement techniques and management, and has applied the learning to the shopfloor through a process improvement project involving a particularly challenging component. The team has also carried out machining trials at the Nuclear AMRC’s facility in Sheffield to remove a problem with tool breakage. 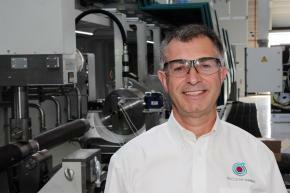 “The guys who went to Sheffield have made that standard practice – we’ve used the expertise in Sheffield to make real improvements,” says manufacturing manager Joe Mercuri. The target of £50 million turnover – with nuclear likely to be around 30 per cent of the total – is perfectly achievable if nuclear contracts do get placed, notes Adams. Update, 11 May: Metalcraft has announced a new contract, worth up to £47 million, to produce 3m3 waste storage boxes for Sellafield Ltd. The first phase of the contract, worth up to £8 million, will see Metalcraft deveop a new production facility capable of producing over 1,000 boxes over the next 10 years. 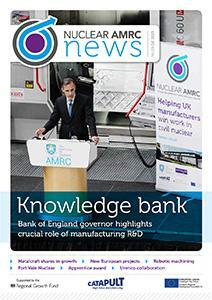 To read the full case study on Metalcraft, and other examples of how the Nuclear AMRC is helping UK manufacturers expand their capabilities for nuclear, download our latest newsletter (5MB pdf). The Sheffield Metallurgical and Engineering Association (SMEA) presents its annual celebrity lecture, featuring Nuclear AMRC chief executive Mike Tynan on the challenges for nuclear power. Tynan will give an overview of the global status of nuclear power, its future potential and contribution to low carbon targets. He will explore issues of capital cost, safety and waste disposal; explain the UK response, including the role of the Nuclear AMRC and Rolls-Royce; and highlight the engineering challenges and the alternative small modular reactor concept. For full details, download the SMEA celebrity lecture flyer.